CONNECTICUT (WABC) -- U.S. Senator Richard Blumenthal now urging lawmakers across the country to fight concealed carry legislation, approved by the house. The Connecticut Democrat held a news conference Friday with law officials from across the state and family members of the victims of gun violence. 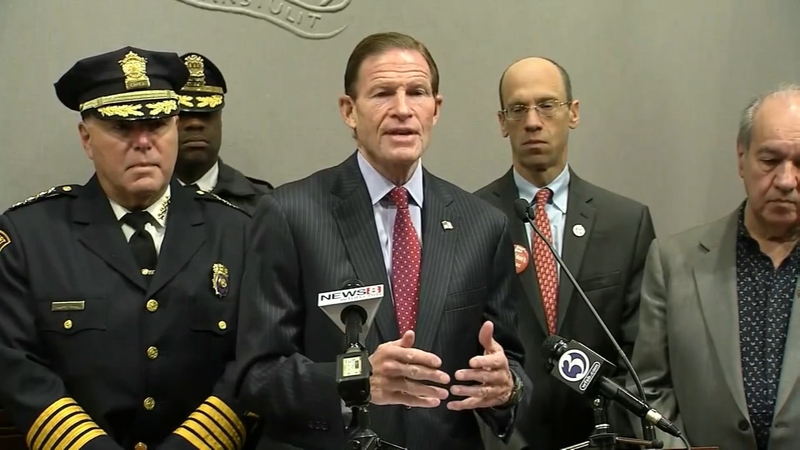 Blumenthal is fighting a bill passed in the House that would make it easier for gun owners to legally carry concealed weapons across state lines. "Anybody with a permit from another state with much less stringent requirements could come into Connecticut, walk into the convention center, or Rensselaer Stadium with a concealed gun, using another state's permit, possibly with a domestic violence conviction or mental health issues," Sen. Blumenthal said. Requirements for a concealed carry permit in Connecticut include a safety course, background check and approval by a local police chief.